HomeTrain of ThoughtCIMC: Juris Gentium Law Review, CALL FOR ARTICLES!!!! Juris Gentium Law Review is a Law Journal of International Law, established by the Community of International Moot Court, specially made for undergraduate students. After publishing our 1st edition a few months ago, we are now opening submissions for our 2nd edition! Our web is down, maybe virus or hackers, so for now please refer to this post for the instruction for authors. Almandine, V. N. (2012). The Conflict between Drug Patenting and Access to Affordable Medication. J.G.L.R., 1(1), 61-69. 4. Prof M. Hawin, S.H., LL.M., Ph.D.
5. Prof. Dr. Agustinus Supriyanto, S.H., M.Si. 6. Prof. Dr. Edward Omar Sharif Hiariej, S.H., M.Hum. 8. Dr. Sigit Riyanto, S.H., LL.M. 9. Dr. Sulistiowati, S.H., M.Hum. 10. Dr. Tata Wijayanta, S.H., M.Hum. 12. Drs. Paripurna, S.H., M.Hum., LL.M. 13. Harry Purwanto, S.H., M.Hum. 15. Dina Widyaputri Kariodimedjo, S.H., LL.M. 16. 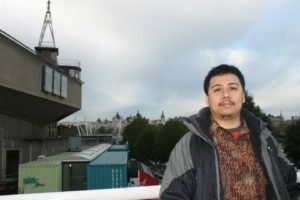 Tomi Suryo Utomo, S.H., LL.M., Ph.D.
17. Agustina Merdekawati, S.H., LL.M. 18. Mailinda Eka Yuniza, S.H., LL.M.